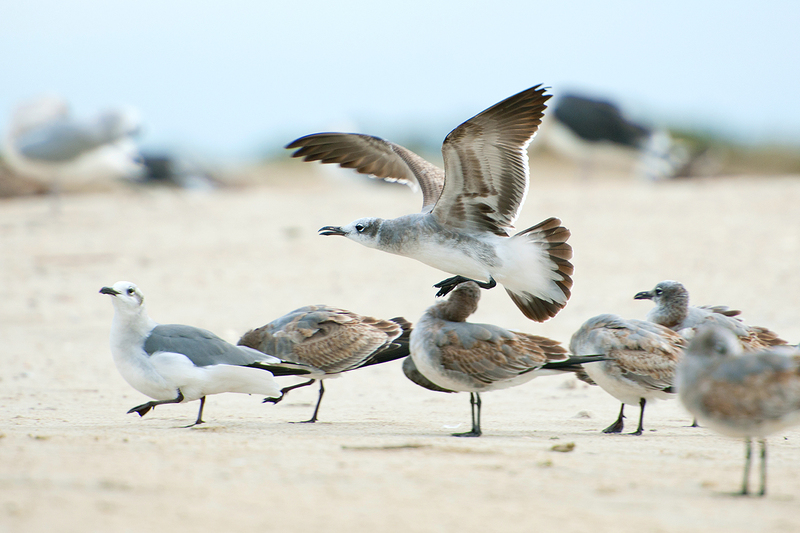 Laughing Gulls lounging on the beach in Cape May. 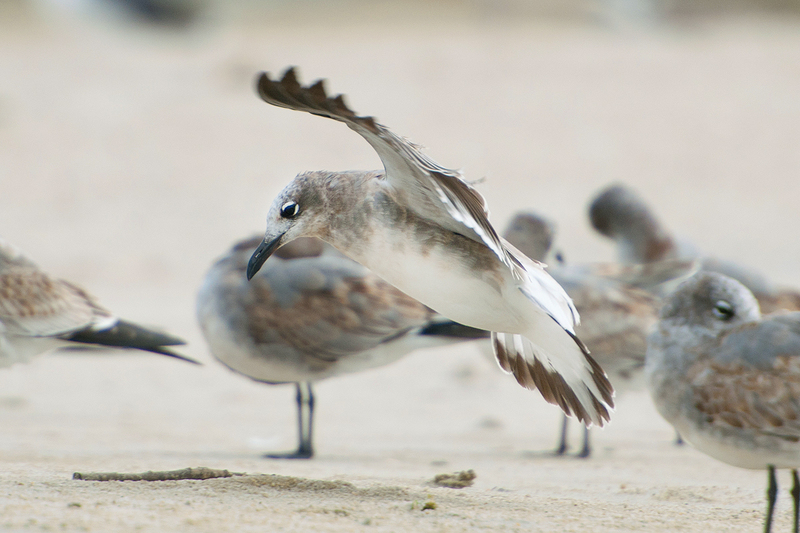 This Gull waits until the very last second to unveil its landing gear – its feet are still tucked warmly and aerodynamically into its feathers. Thanks for following along. I saw so many wonderful things in such a short time that I’m planning a return visit to Cape May during the peak of migration next year. I’ll stay a week next time instead of barely two days. 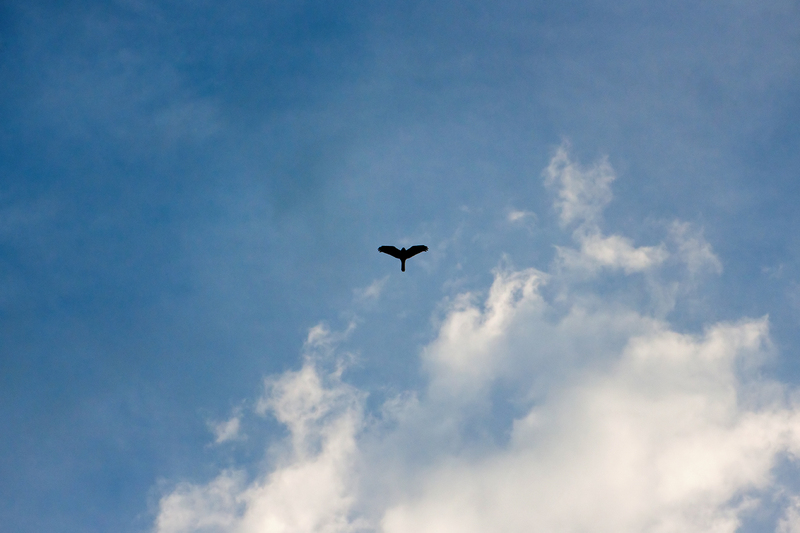 Northern Harriers are graceful fliers and their beauty is only enhanced by a lovely sky. 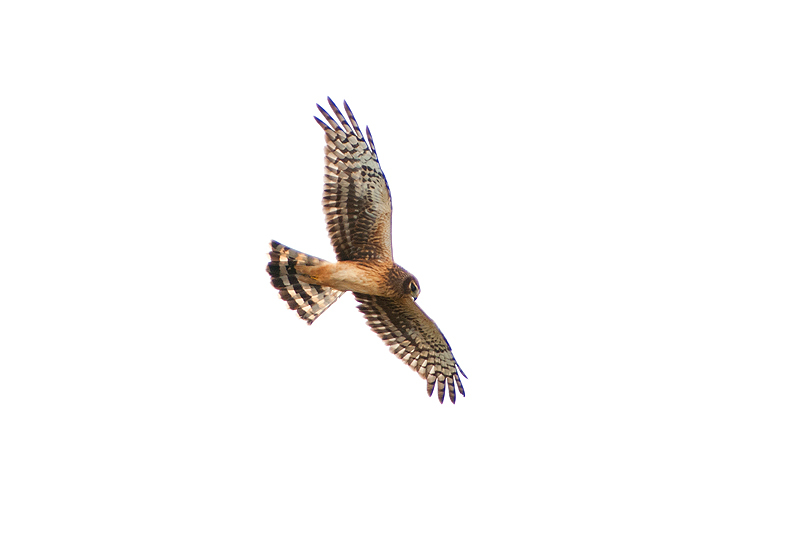 This juvenile Harrier descended to hunt the meadow. 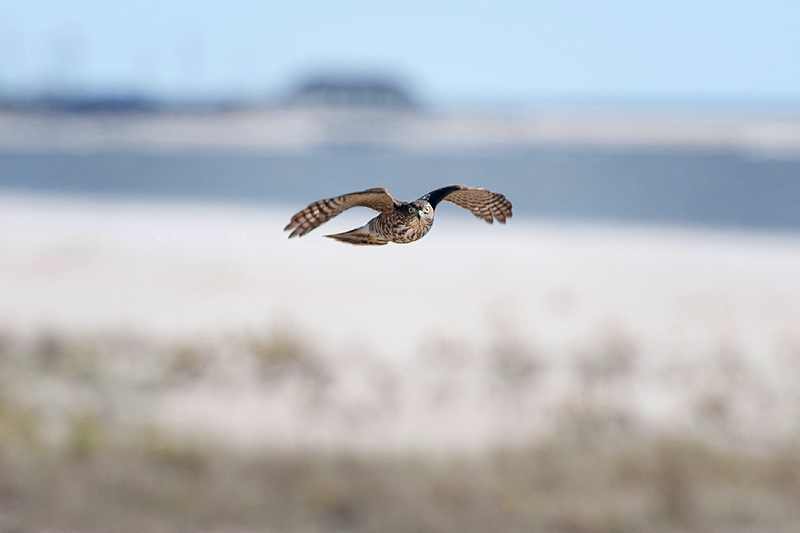 I’m going with juv female because of the pumpkin color below, the dark eye, and the size… this was a big Harrier. 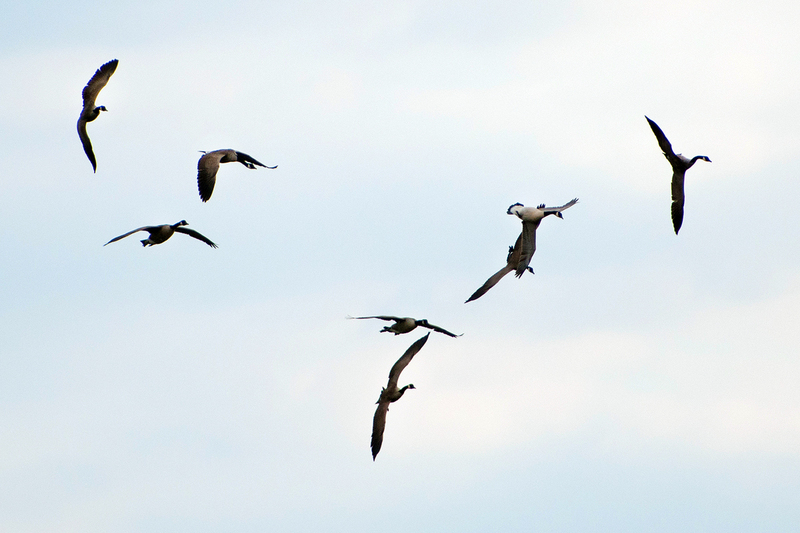 Canada Geese spill wind from their wings to lose altitude as they approach the marsh at Cape May. 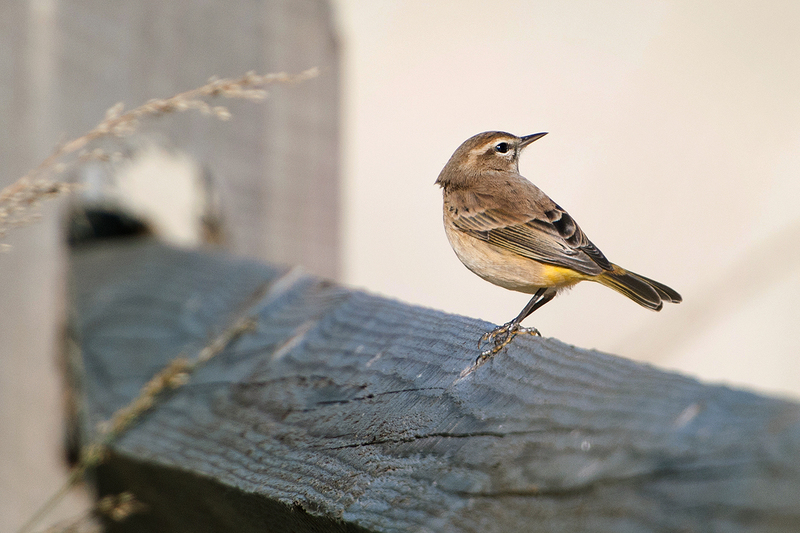 The twisting action can be so vigorous that the bird momentarily flies upside-down with its head right side-up. 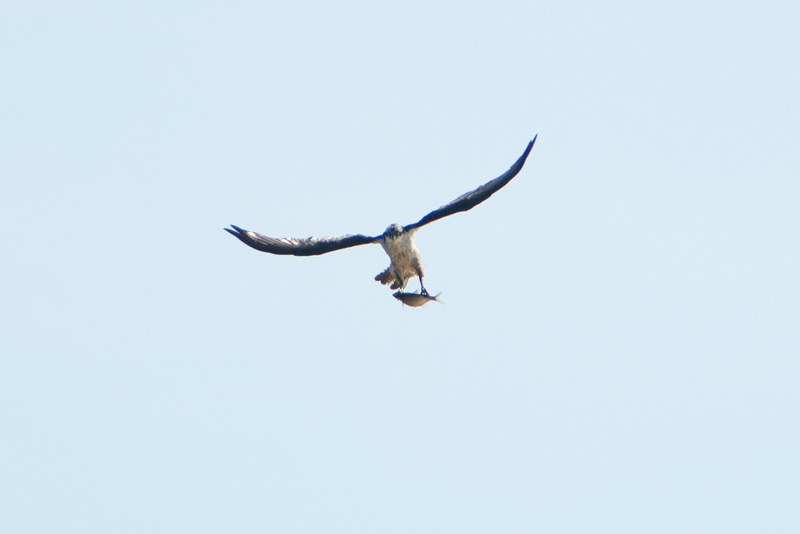 There were plenty of Osprey at Cape May too. 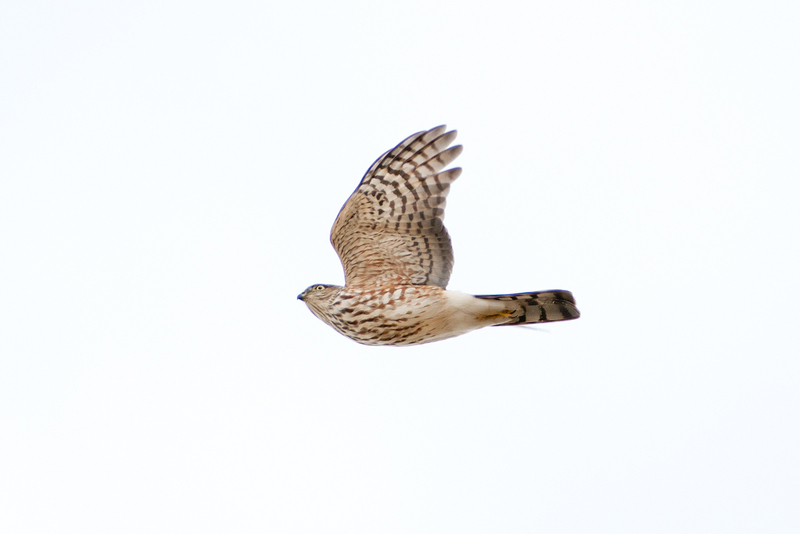 This one gave all the hawk watchers a great look as it circled back to hunt the pond in front of the platform. 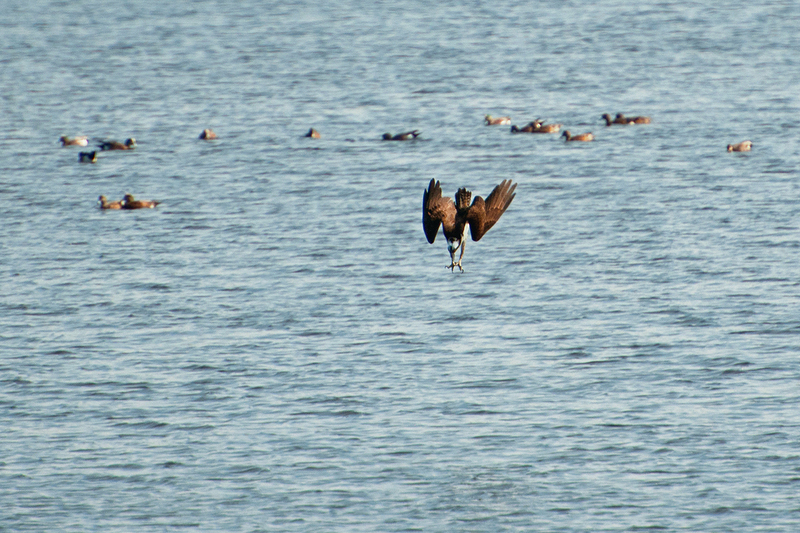 Wigeons look on while the Osprey lines up to strike. 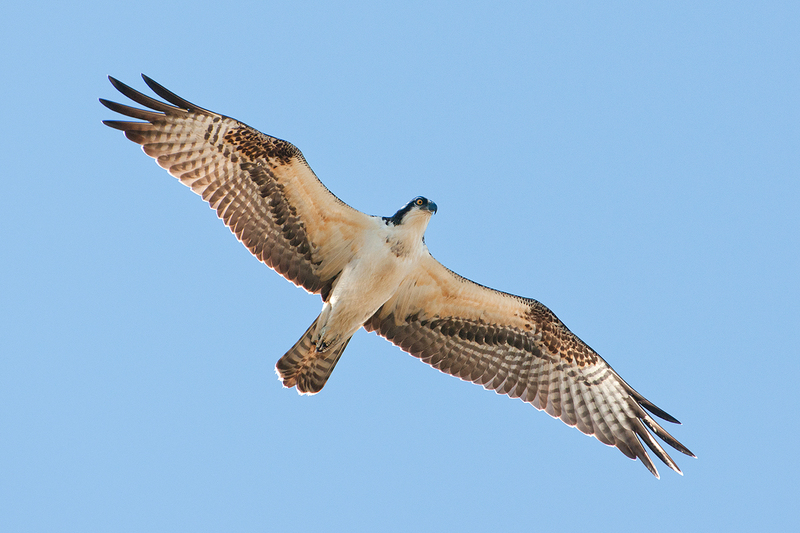 Osprey almost always disappear into the water before emerging with or without a fish. The impact is impressive. 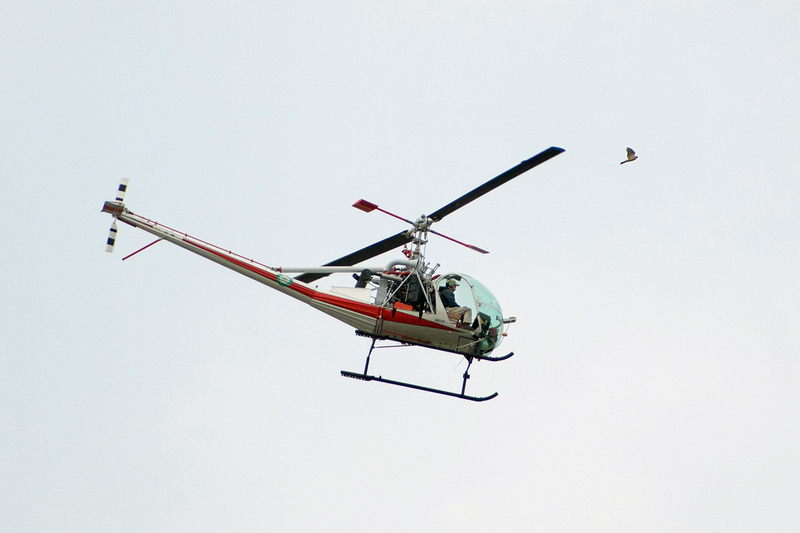 With a heavy fish in tow, the wing loading is evident on this distant bird as its primaries cope with the weight. 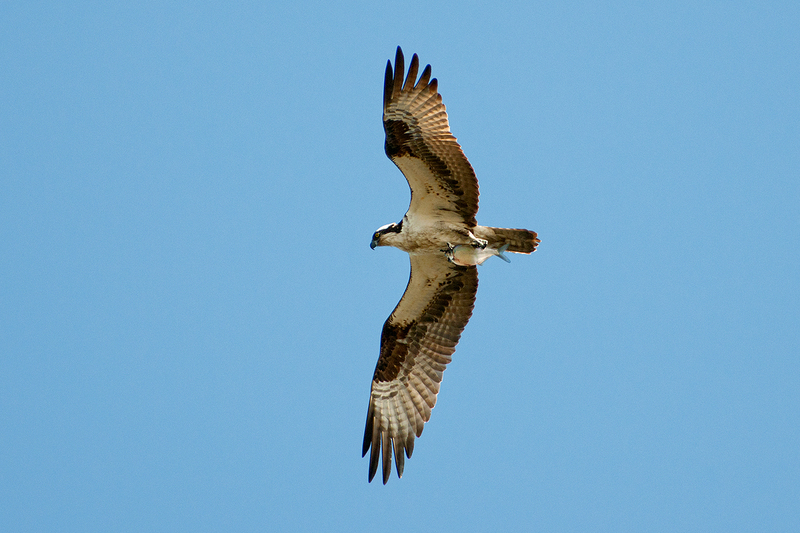 Turned into the wind, the fish becomes more aerodynamic and the Osprey’s flight becomes much easier. 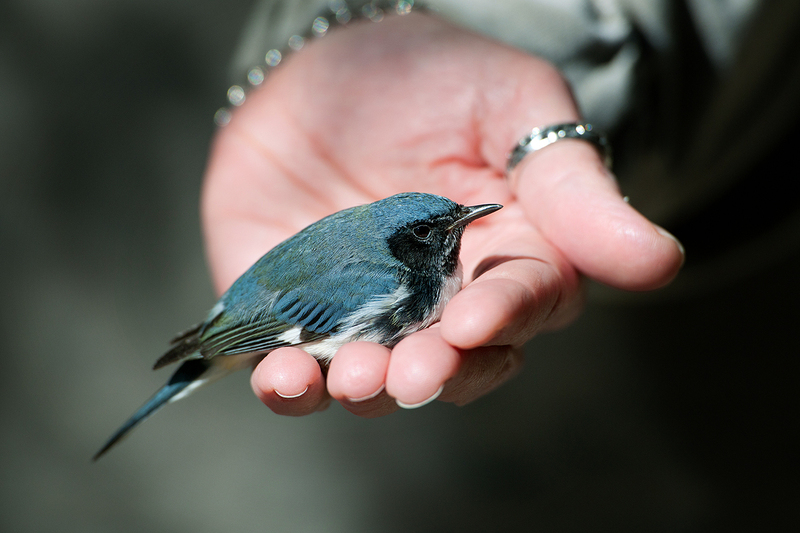 While shopping at the Cape May Bird Observatory store a thud at the window got our attention and the stunned bird was none other than a Black-throated Blue Warbler, a dismal way to get a life bird. This one had a lot of green mixed in. 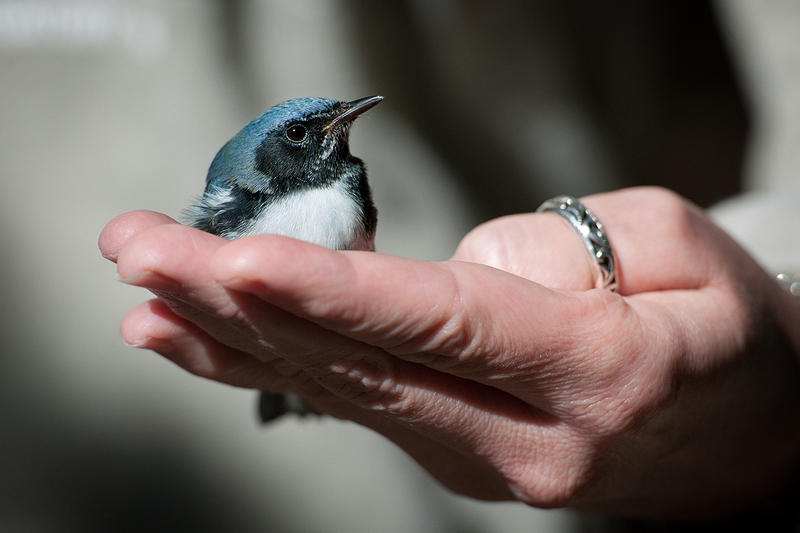 Thankfully, held in hand in the warm sun, it quickly recovered and flew off. Most of the hundreds of birds flitting in the bushes were Yellow-rumped Warblers and I never did take the time to get a good photo of them. Palm Warbler was also a new bird for me. This one was most cooperative as it bobbed its tail and looked for insects. 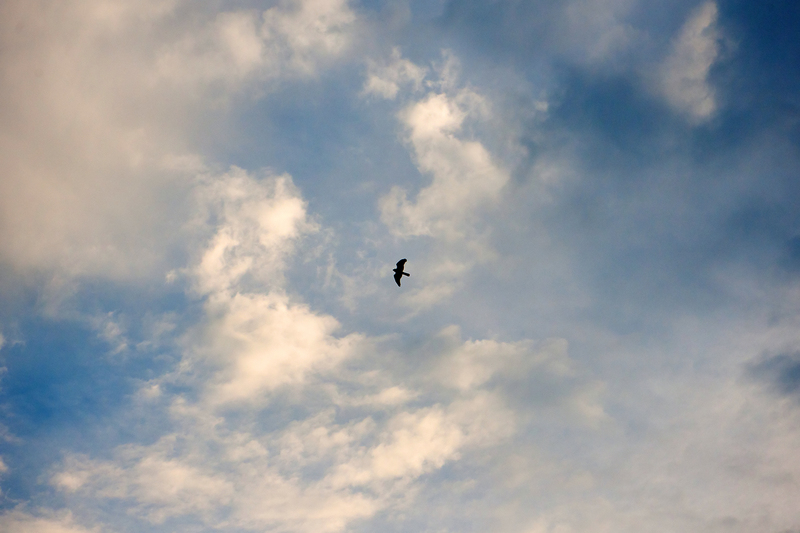 It moved on when a hawk buzzed us both. 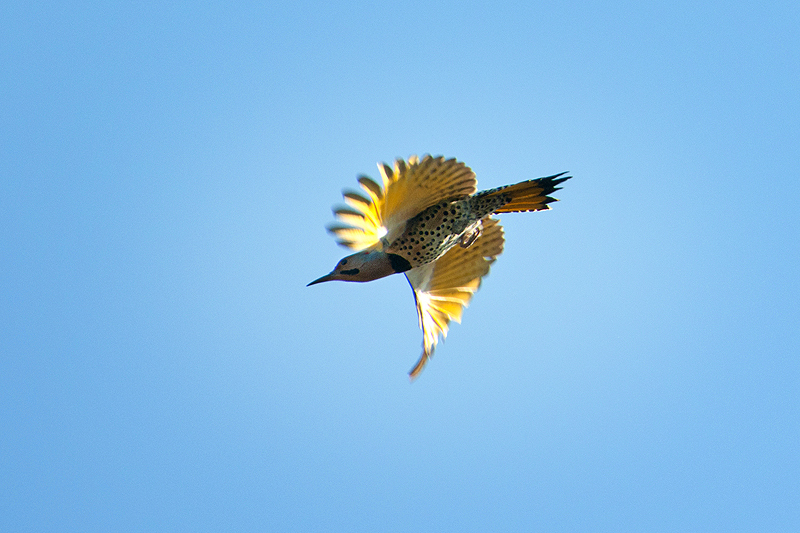 This Flicker was running from, guess what, a Cooper’s Hawk. It can be rough neighborhood depending on your position in the food chain. A surprise bird was a juvenile Red-headed Woodpecker flushed from the dunes near the beach. For your viewing pleasure… a poor quality but definitive documentation shot. 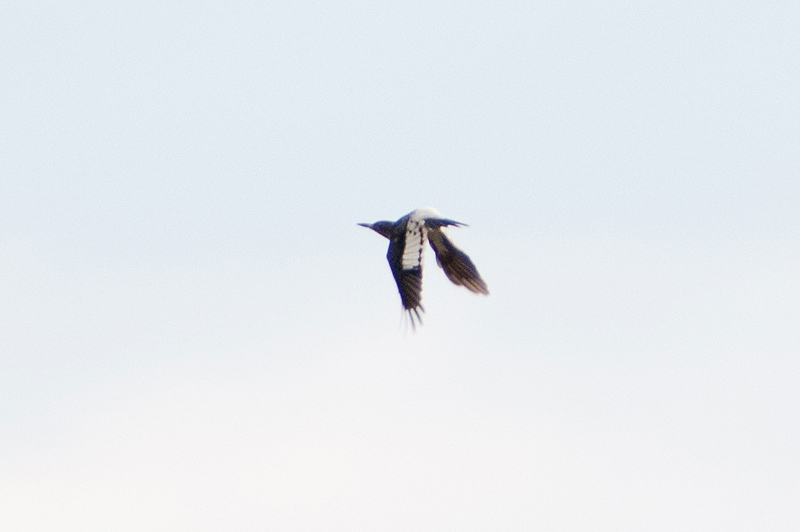 I wouldn’t have been able to ID it without the photo since it was yet another lifer. 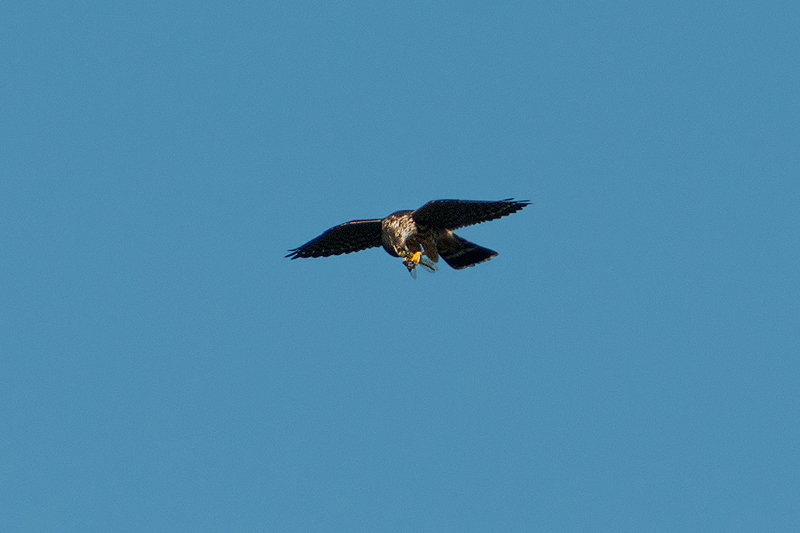 Easier to identify but still hard to photograph, a Merlin above the platform eats a dragonfly on the wing. 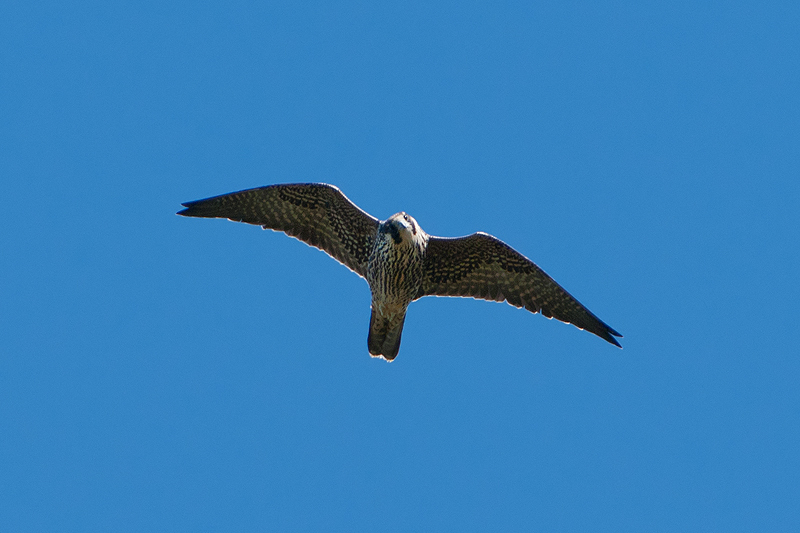 The Merlin’s big brother, a young Peregrine arrives and everyone takes notice… It had its eye on us too. 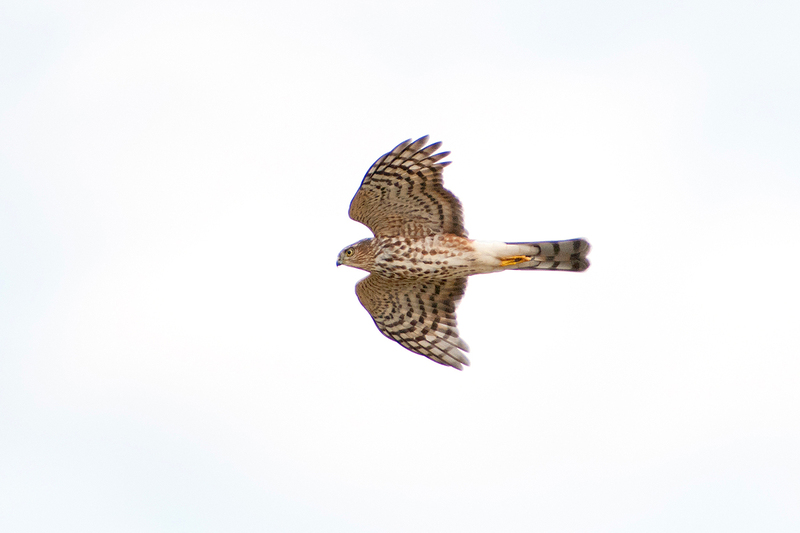 Sharp-shinned Hawks were everywhere! 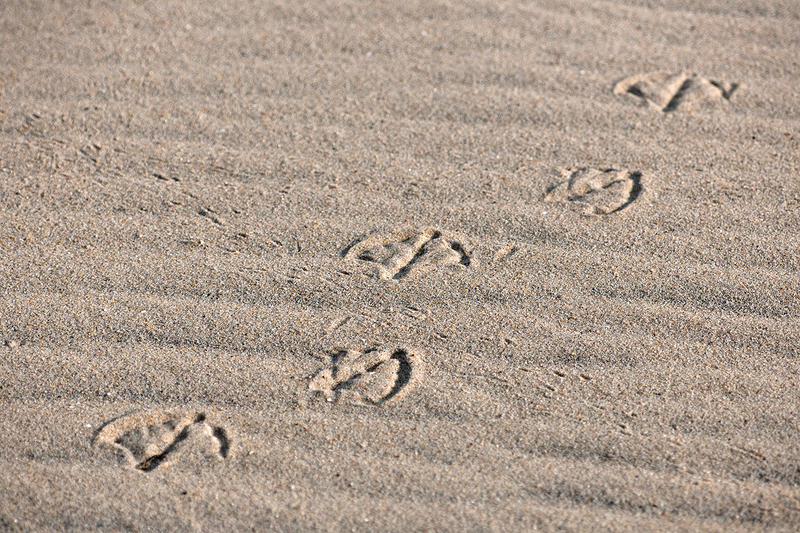 One morning they were passing through the dunes in groups of three every few minutes for over an hour. I can’t imagine flying a helicopter through skies like that, and this Sharpie didn’t seem thrilled to have the company. 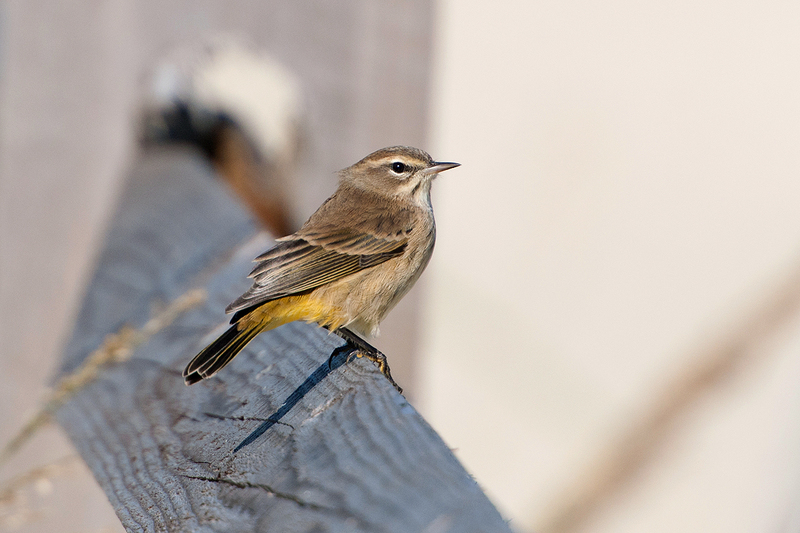 Looking for a Palm Warbler and finding a Californian with a camera, a flick of her wings took her past me toward the beach. 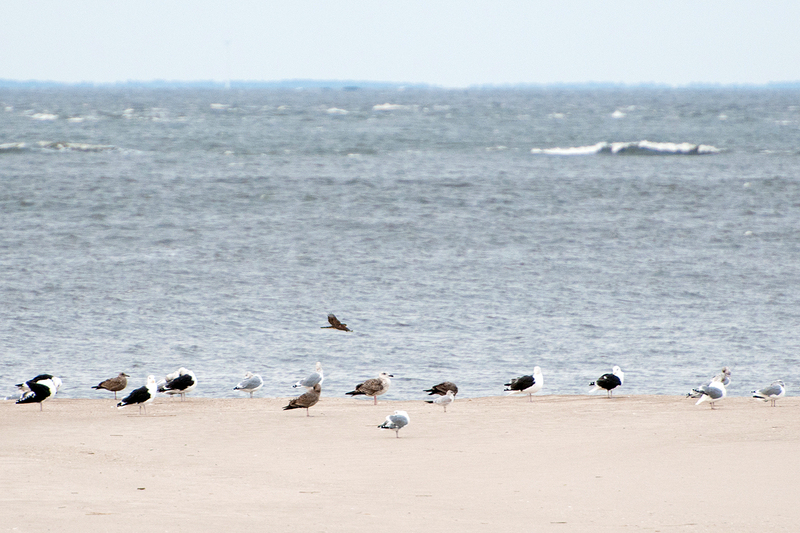 The Great Black-backed Gulls, Herring Gulls, and Laughing Gulls didn’t even flinch as she flew past. They reserve their freak outs for the Bald Eagles and Peregrines. Sharpie Alley is what I started calling the dune by the beach. 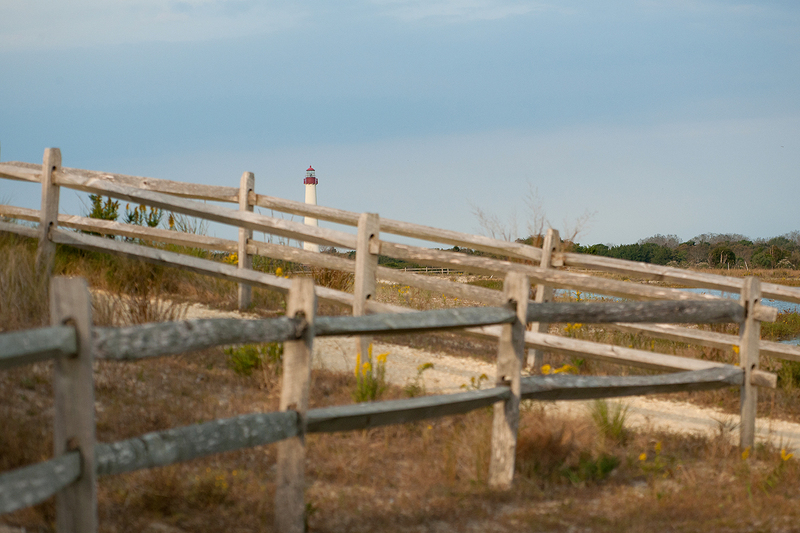 The birds would peel off from the dune and head toward the hawk watch platform near the base of the lighthouse. This scene was repeated hundred of times. 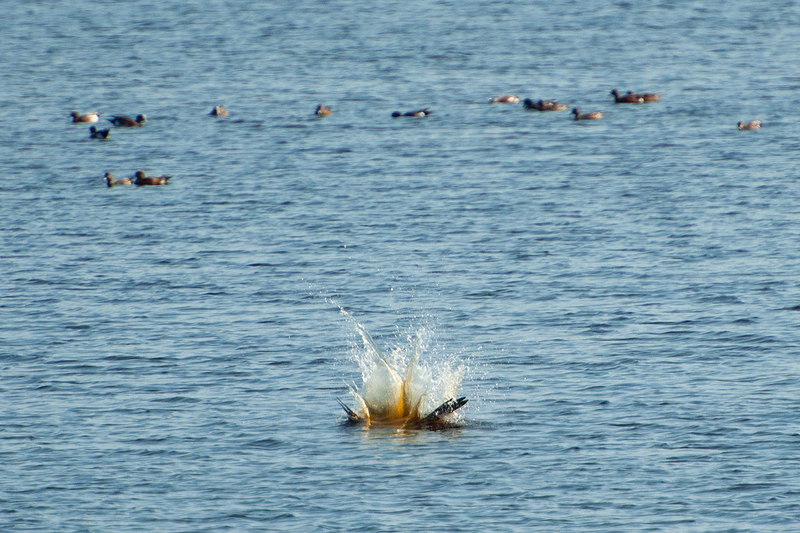 Here it comes… there it goes. 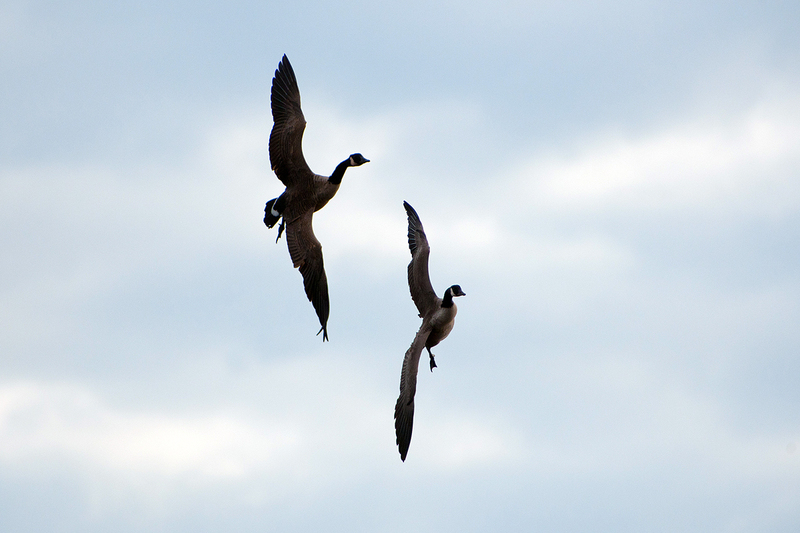 The flight is hyper directional. 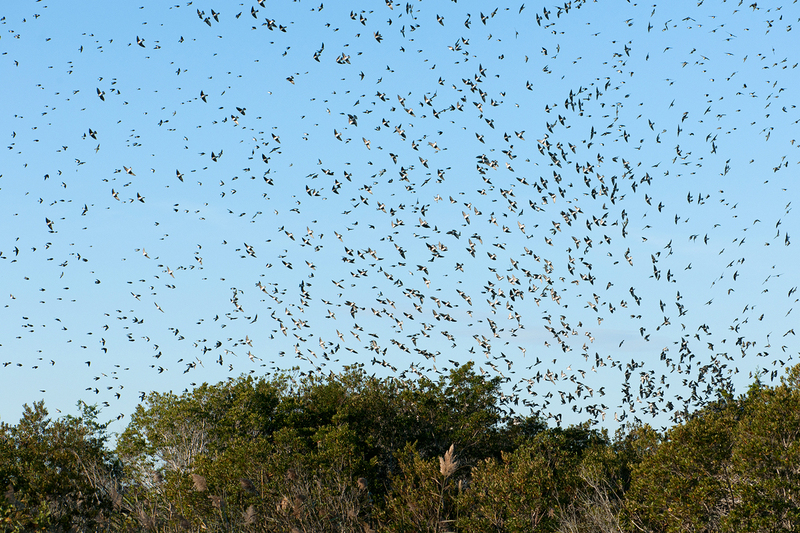 Keeping an eye out for prey and predators while migrating. 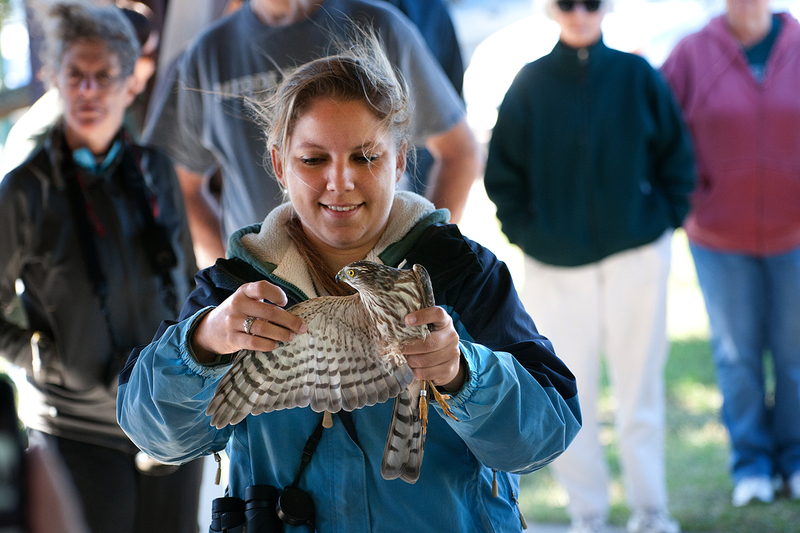 A crowd gathered last Sunday to hear about the hawk banding program and see an accipiter up close. 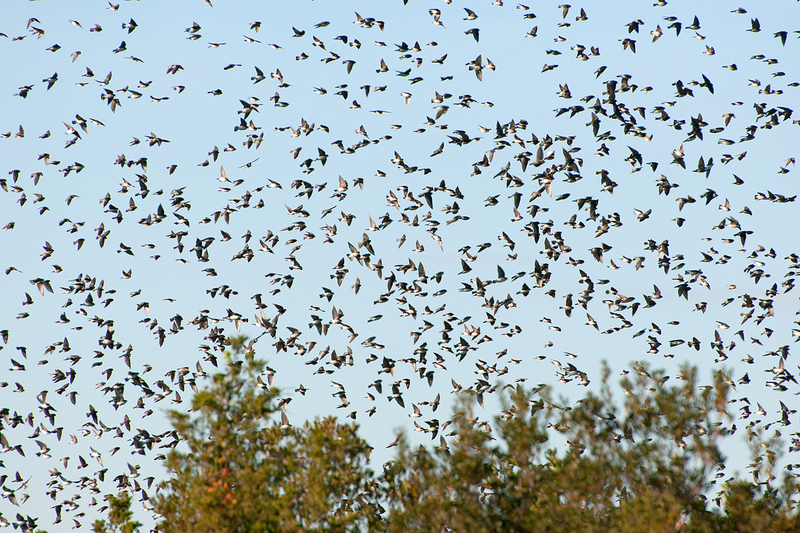 This Tree Swallow Storm was astounding. 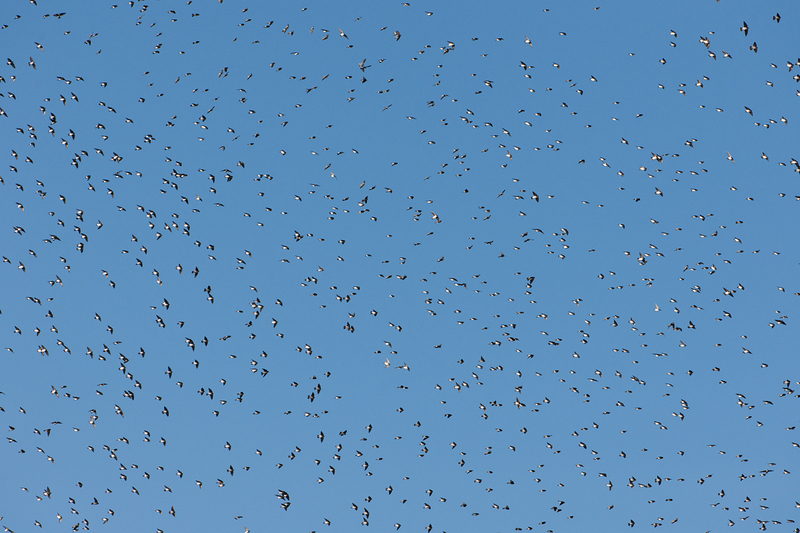 Even with Peregrines and Bald Eagles around I was happy to get lost in this equally impressive swirling cloud of birds.